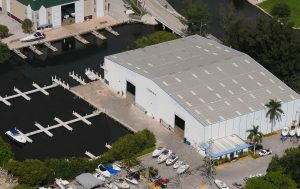 Located minutes from the Fort Lauderdale Airport, Thunderboat Marine Service Center is easily accessible from anywhere in South Florida. CM35 on the Intracoastal Waterway south of Port Everglades. Head west on the Dania Cut-off Canal. 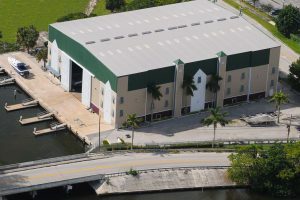 Marina is located 1/2 mile west of Federal Hwy and railroad bridge on left (south) side. Enter our 2 marinas through the center span of the bridge. Please check tides for clearance prior to arrival.